I finally found some open WiFi here in Oxford. You’d think there’d be more in a university town. The term doesn’t start until October so maybe that’s why. I’ve really been enjoying the history and architecture and this afternoon I’m off to the beginning of the Oxford Sympsium with the fund raising picnic based on the Oxbridge luncheon in Viginia Woolf’s A Room of One’s Own. 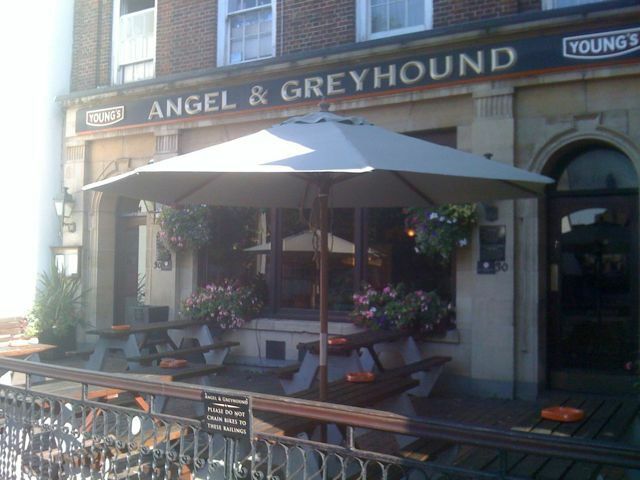 Below is a photo of The Angel and Greyhound, a lovely pub where I had some more Real Ale last night. I tried a beer called Iceberg from the Titanic Brewing Company. Cheers!